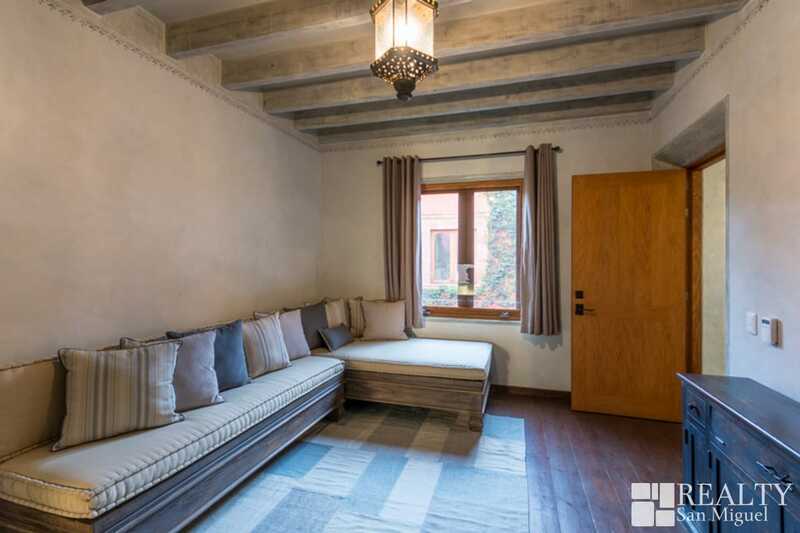 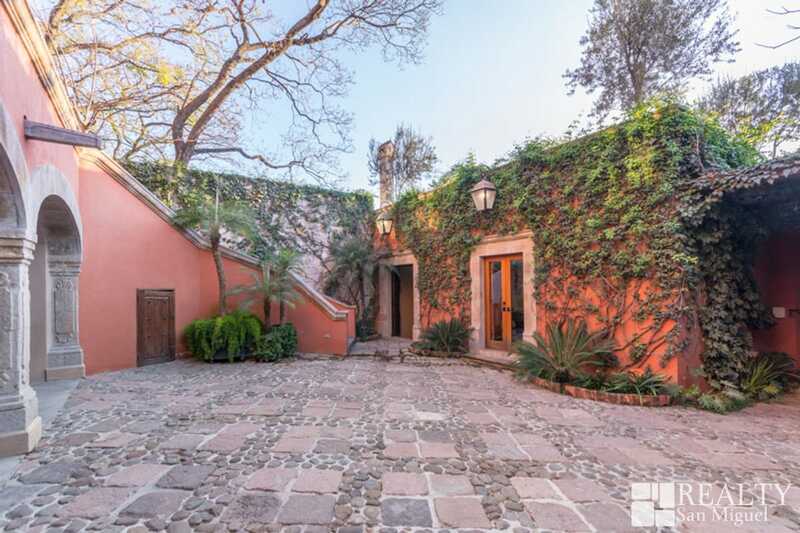 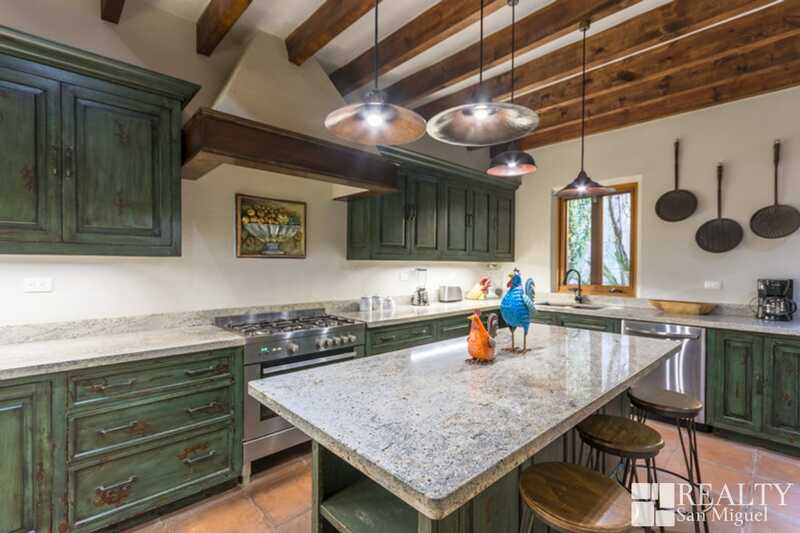 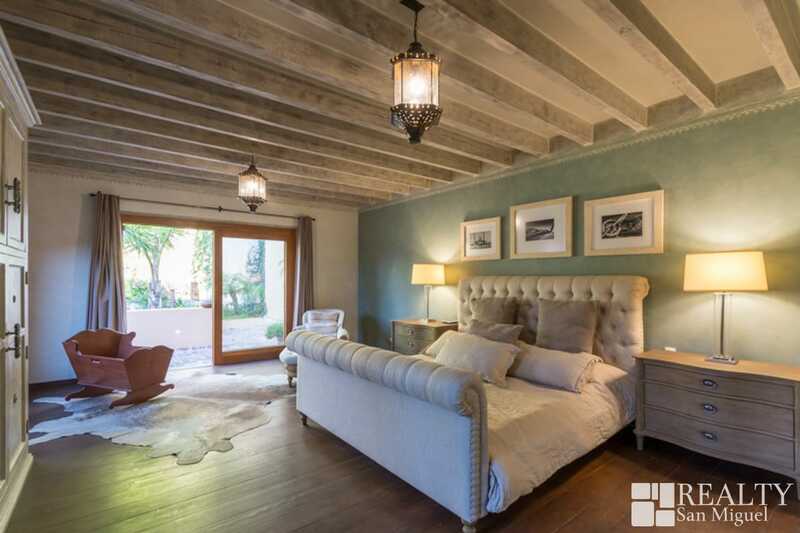 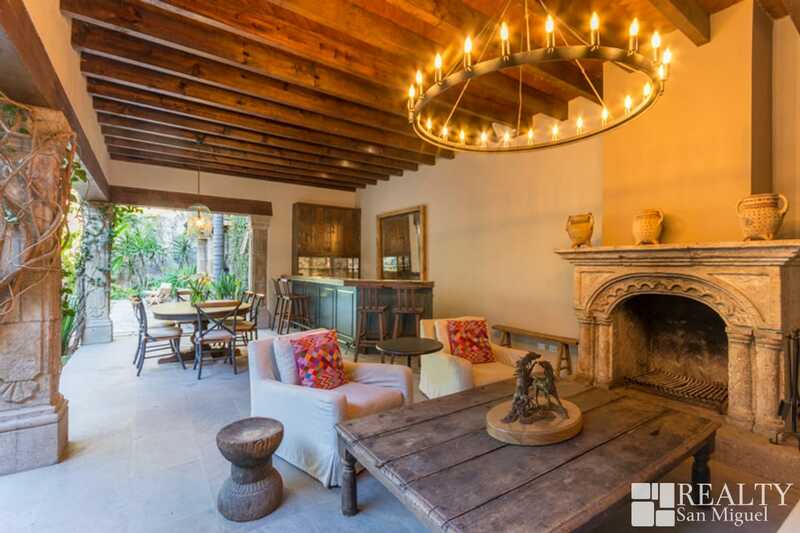 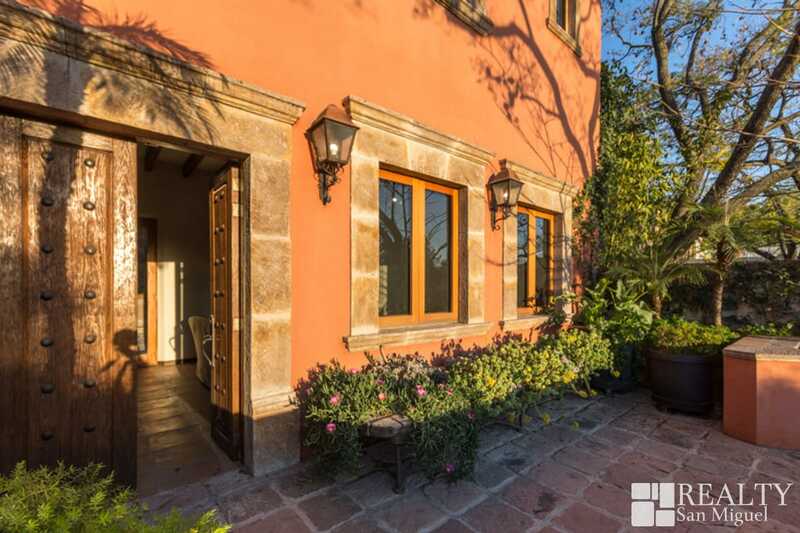 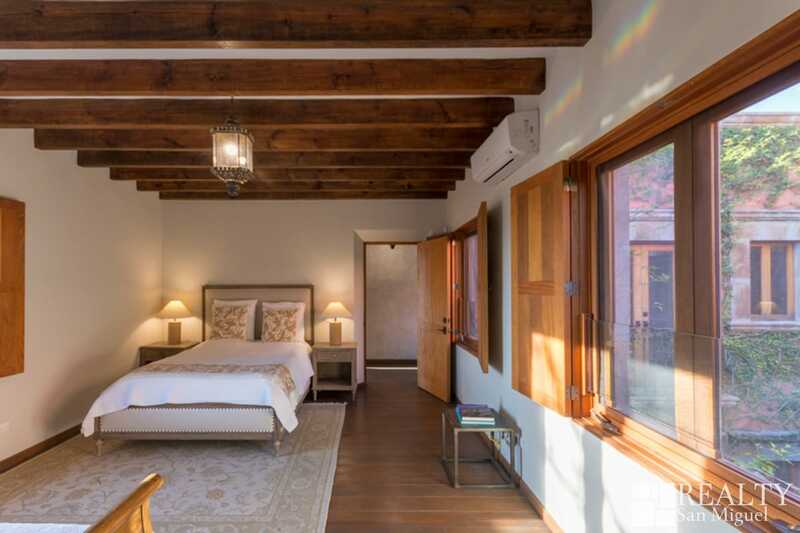 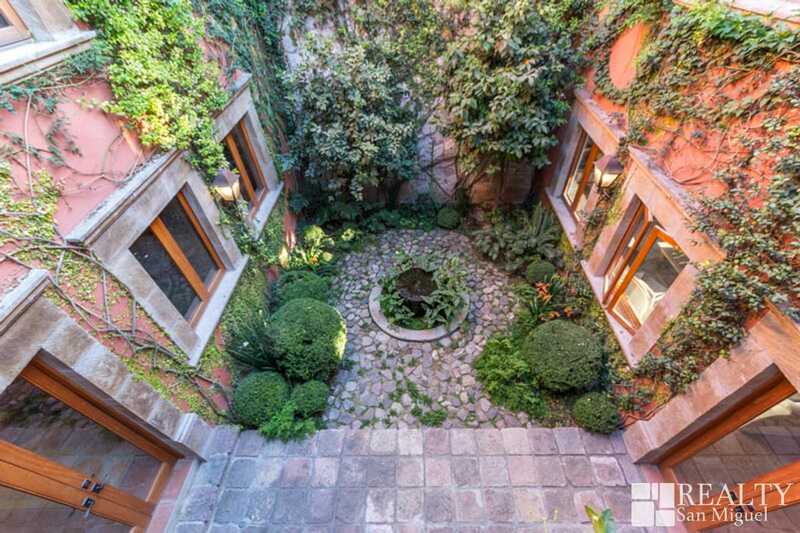 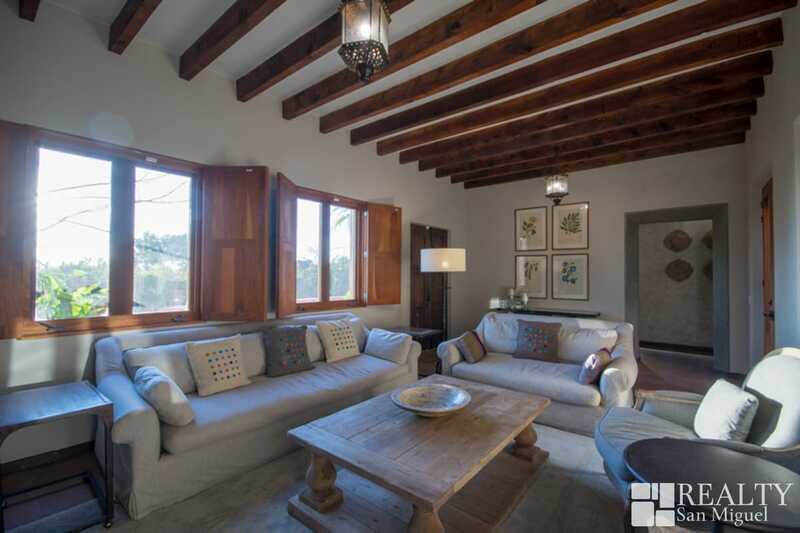 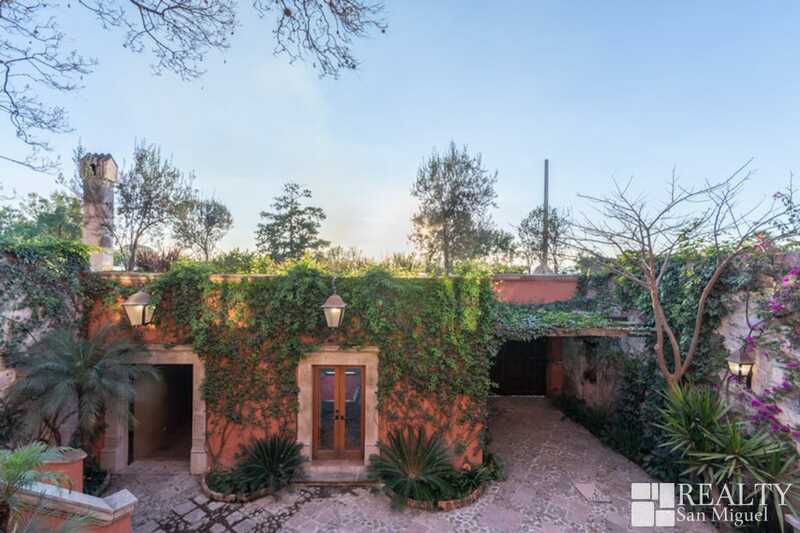 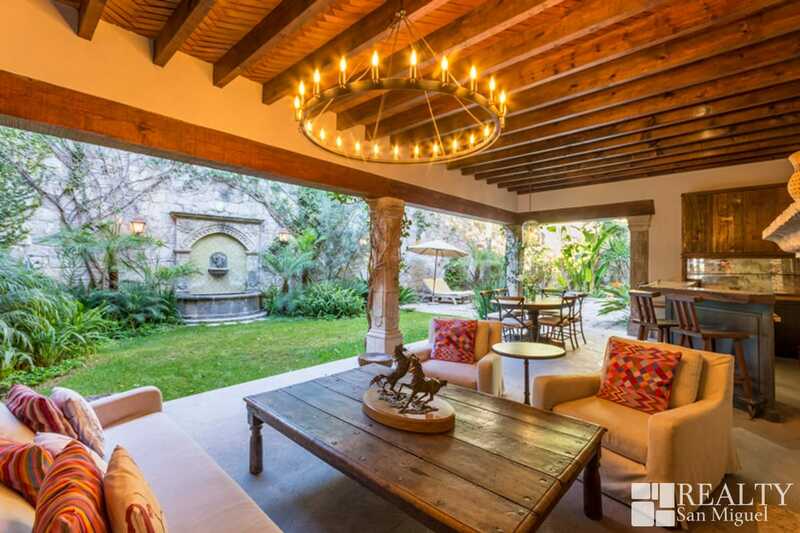 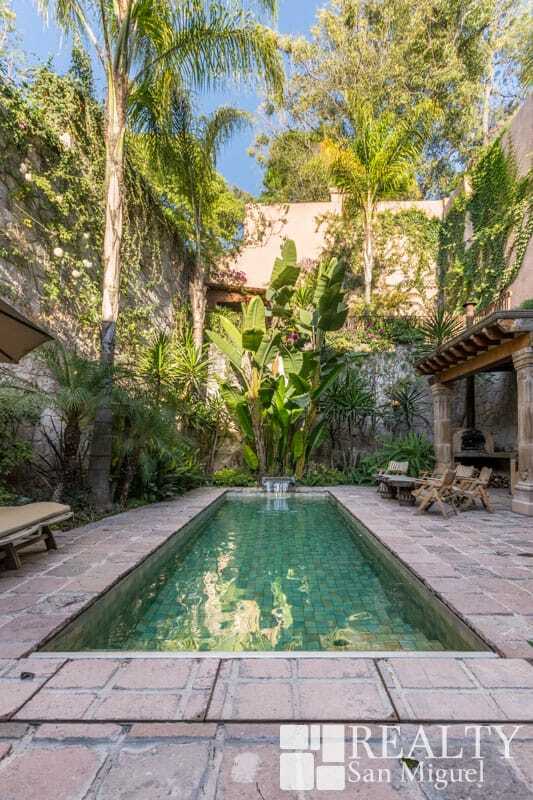 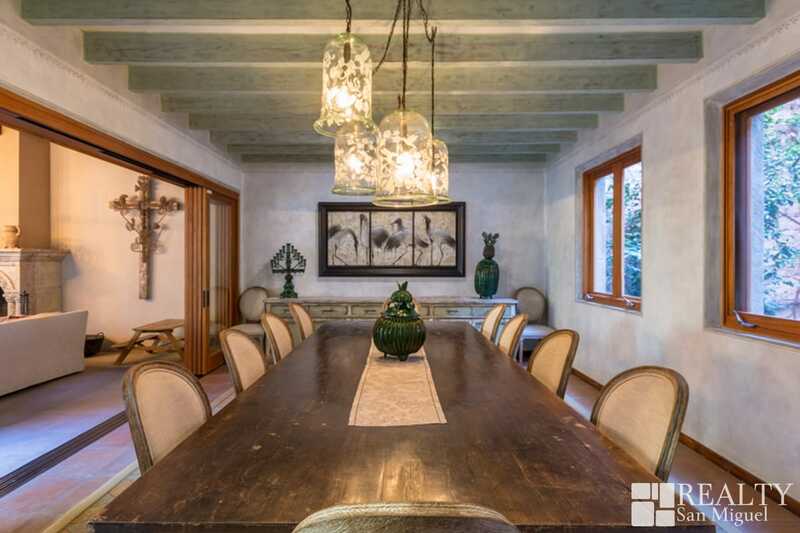 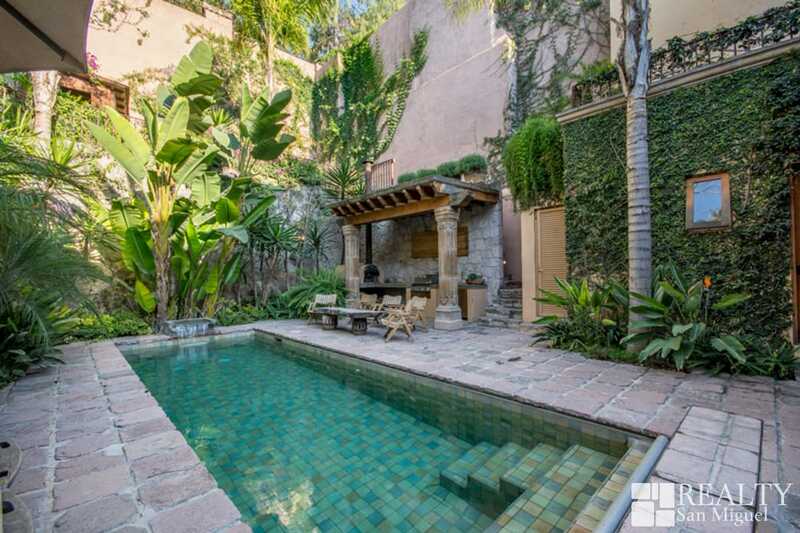 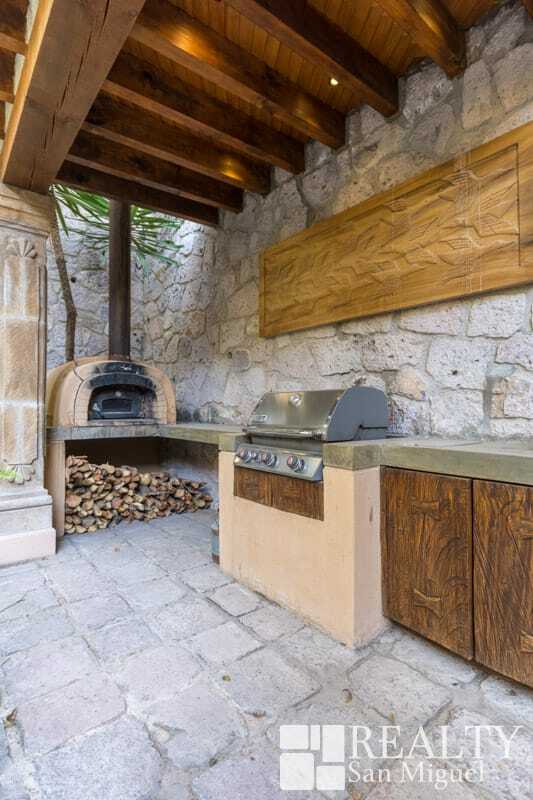 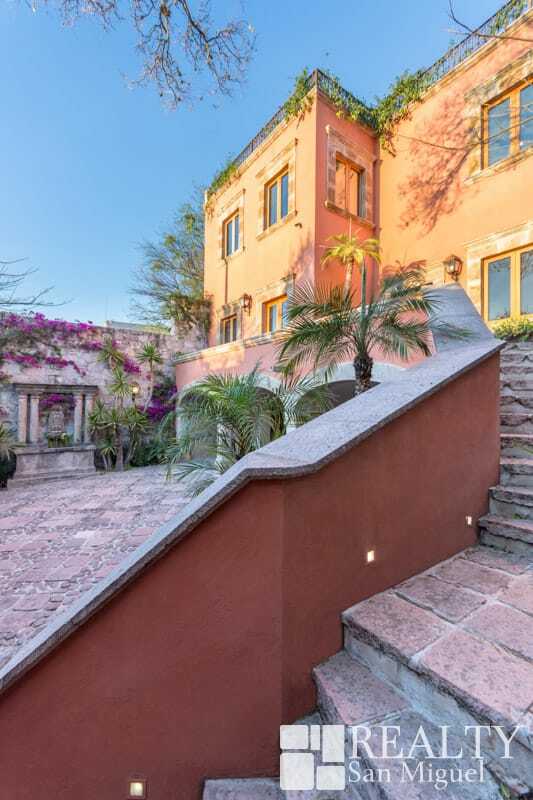 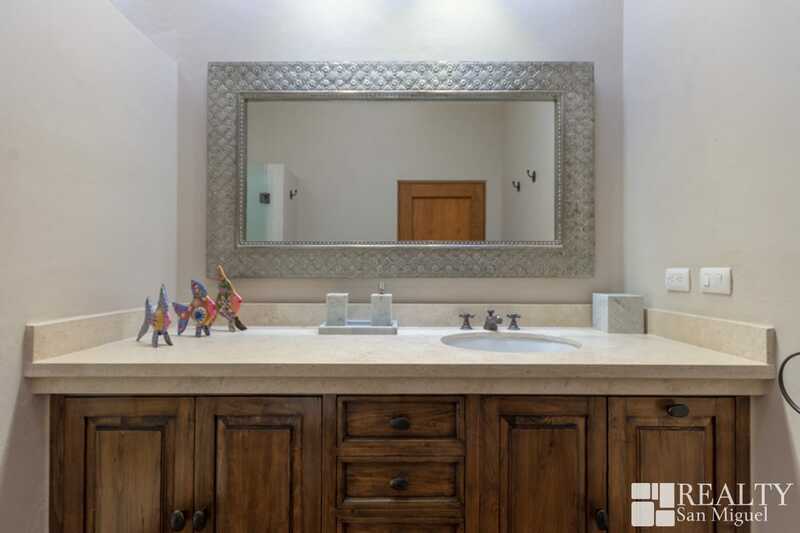 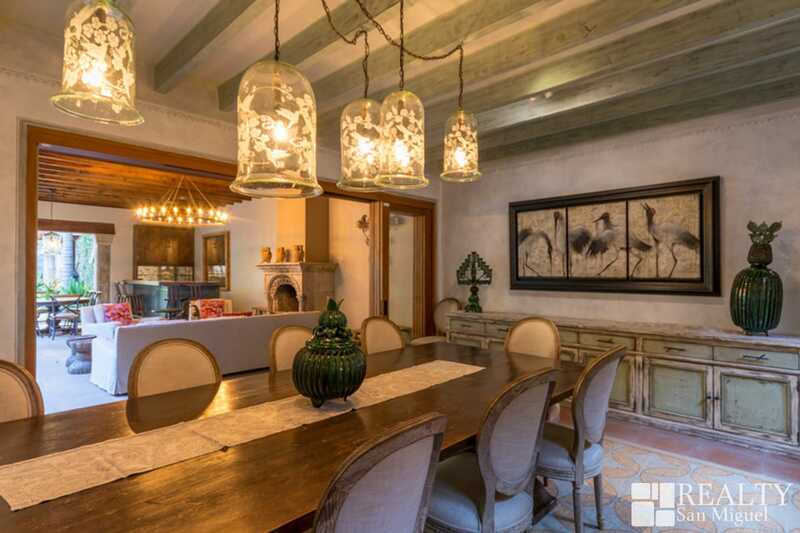 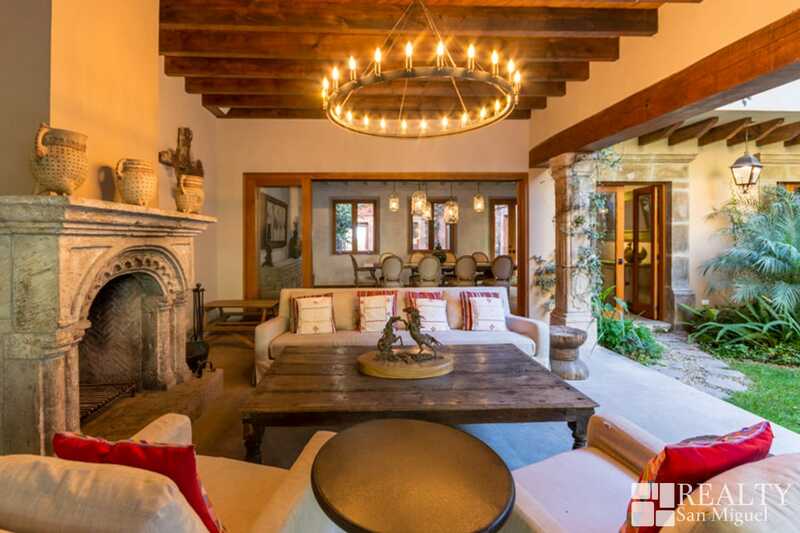 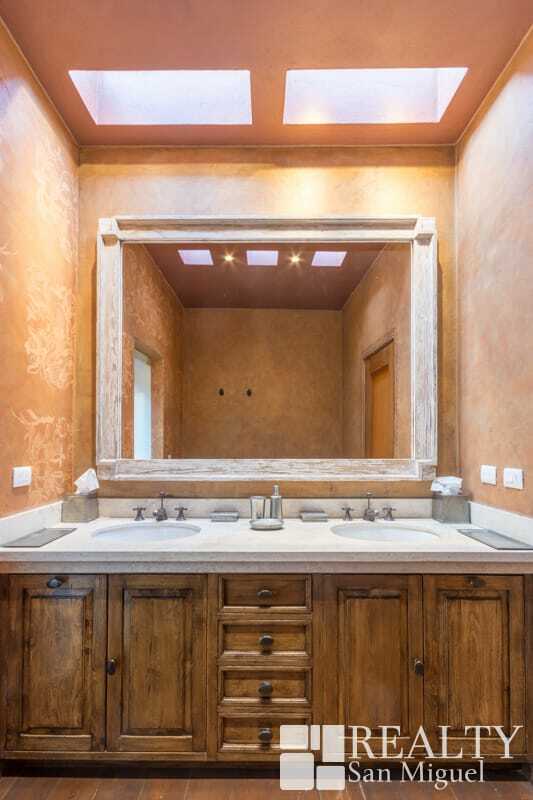 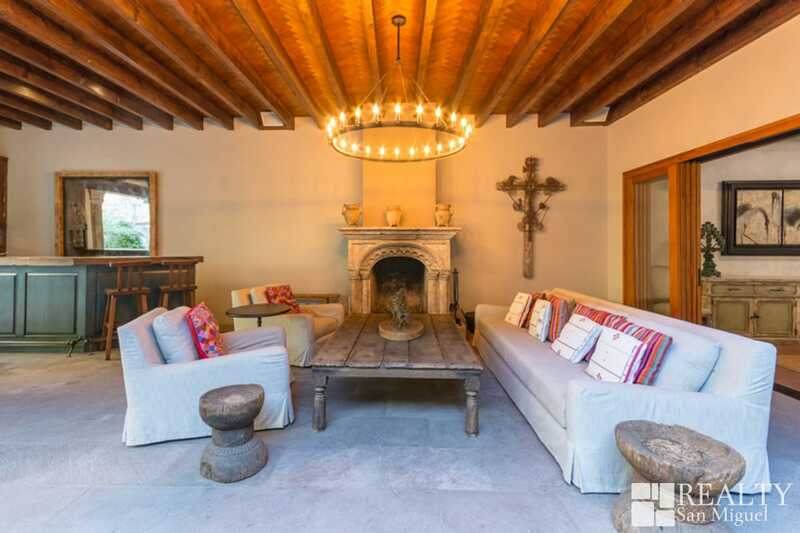 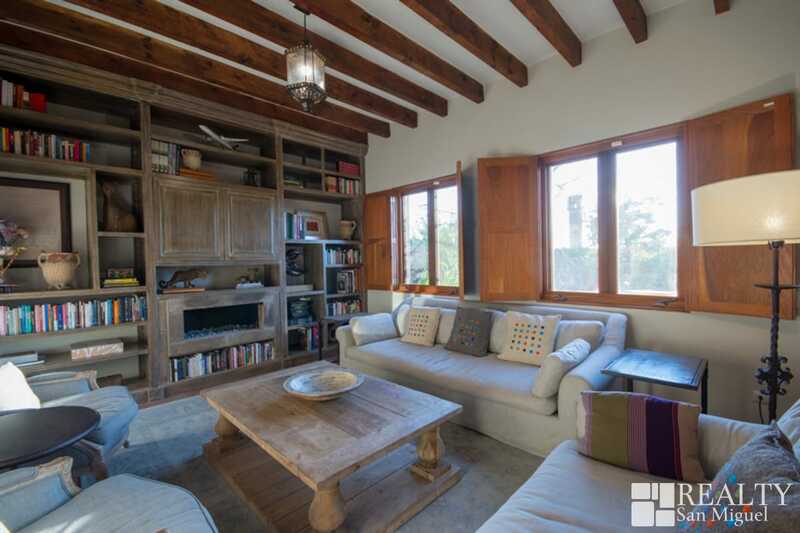 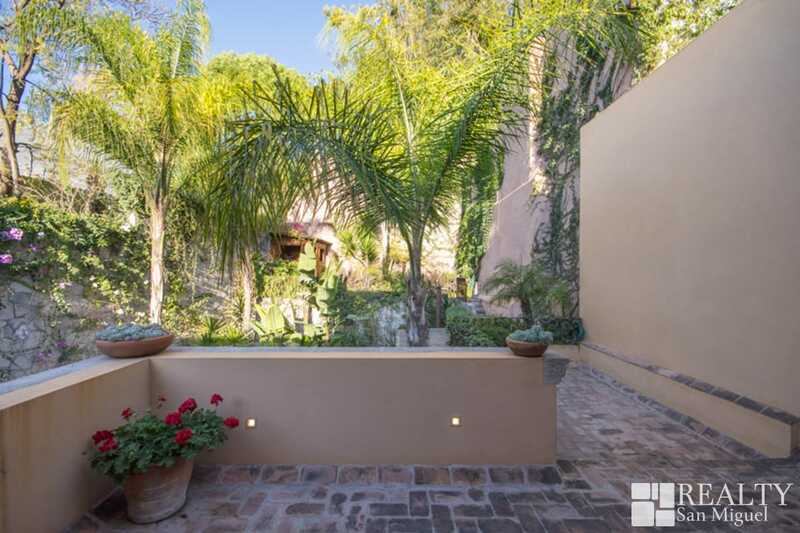 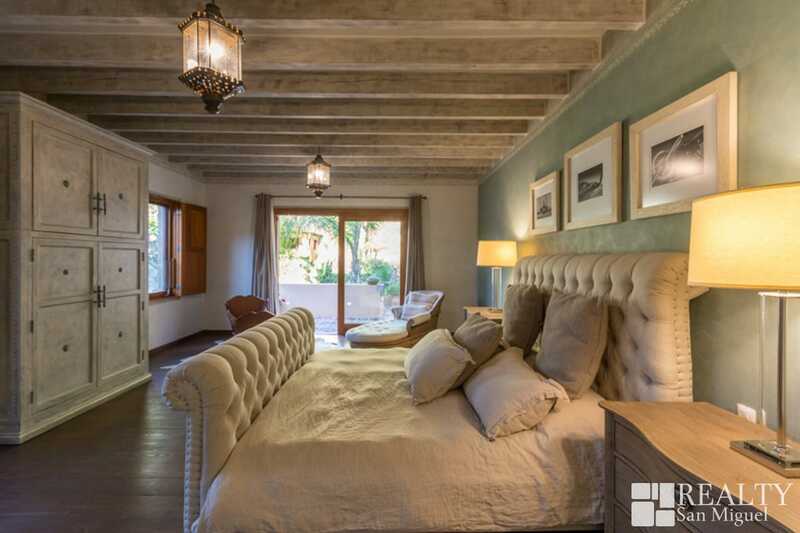 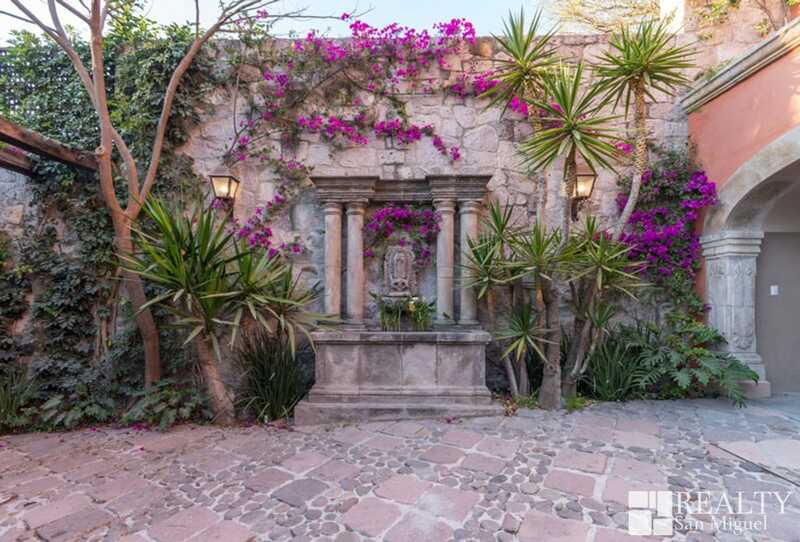 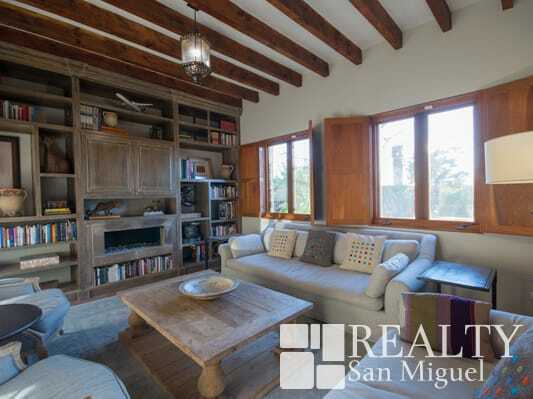 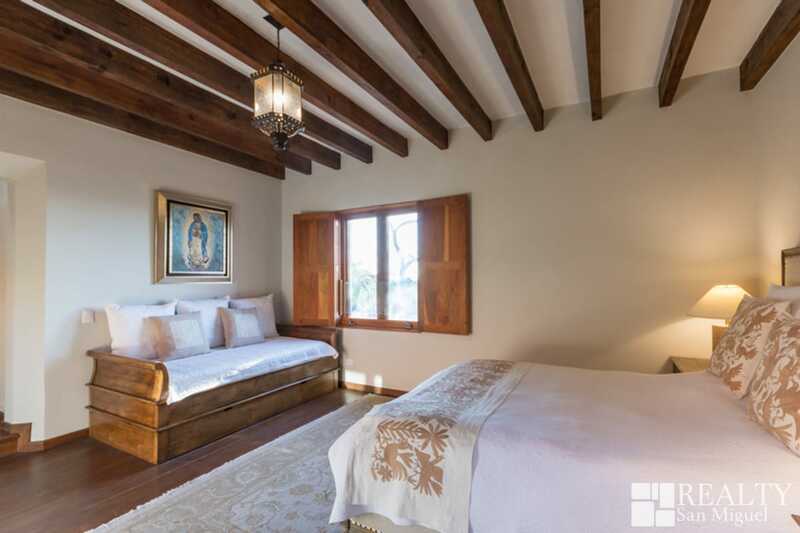 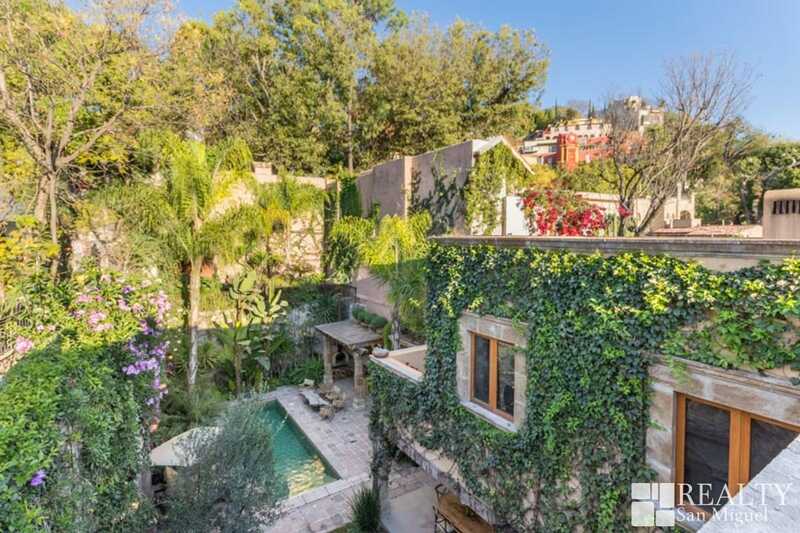 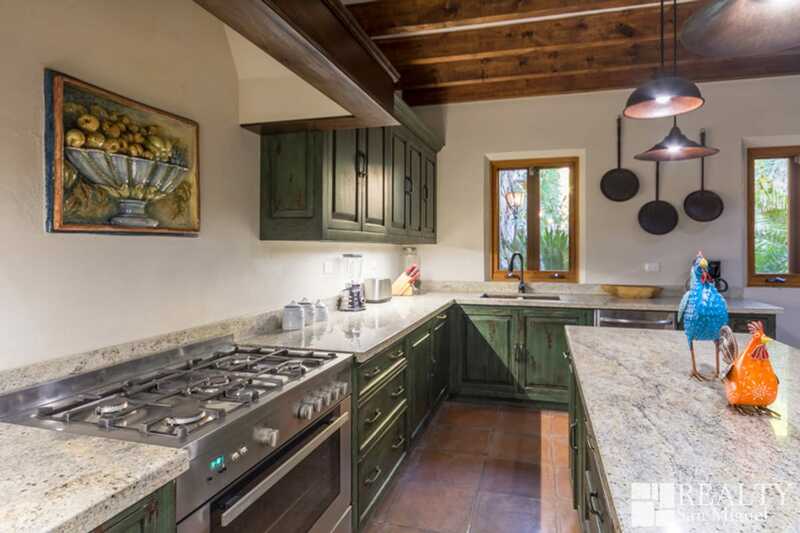 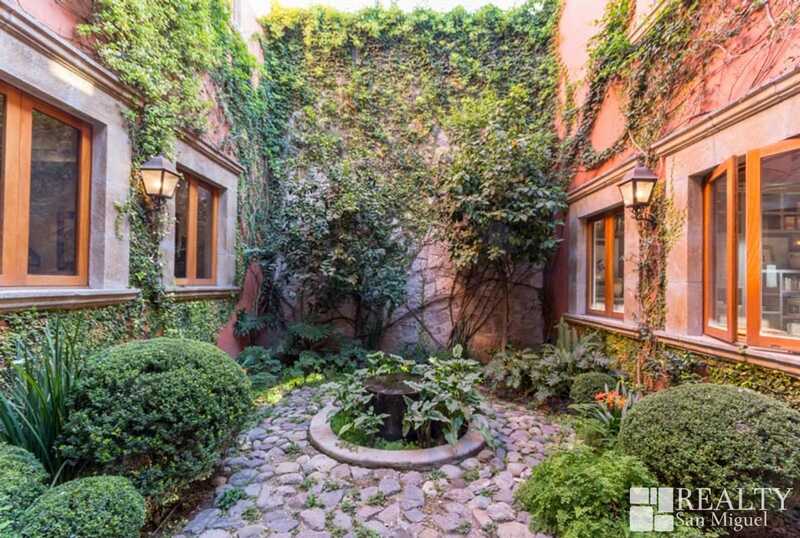 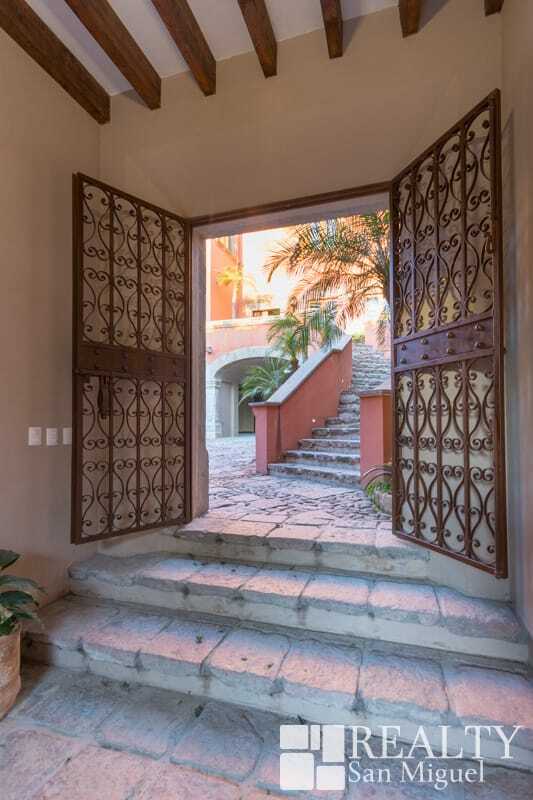 In the heart of San Miguel just 5 blocks from the main garden is this beautiful property of contemporary Mexican architecture, the property is ready to enjoy from the first day because it comes fully furnished is ideal to share with family or friends. 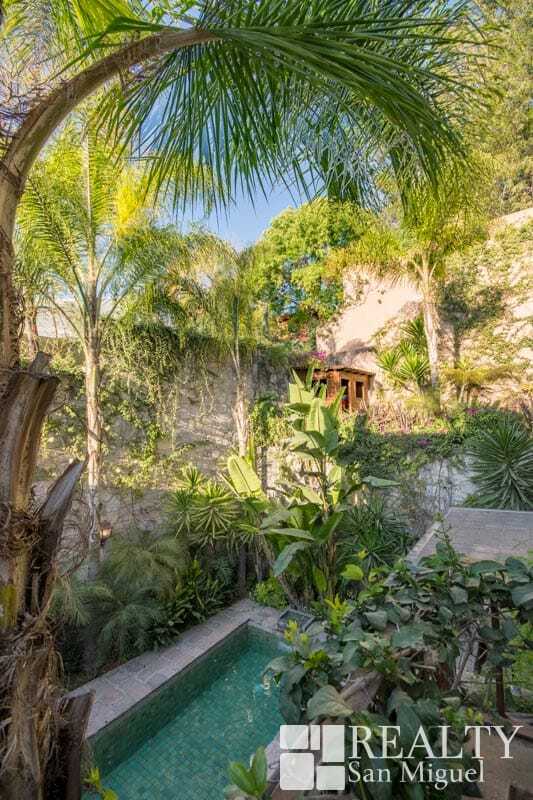 A large terrace with bar, pool, garden and dining room are undoubtedly the central space and perfect point to enjoy a relaxed and joyful coexistence. 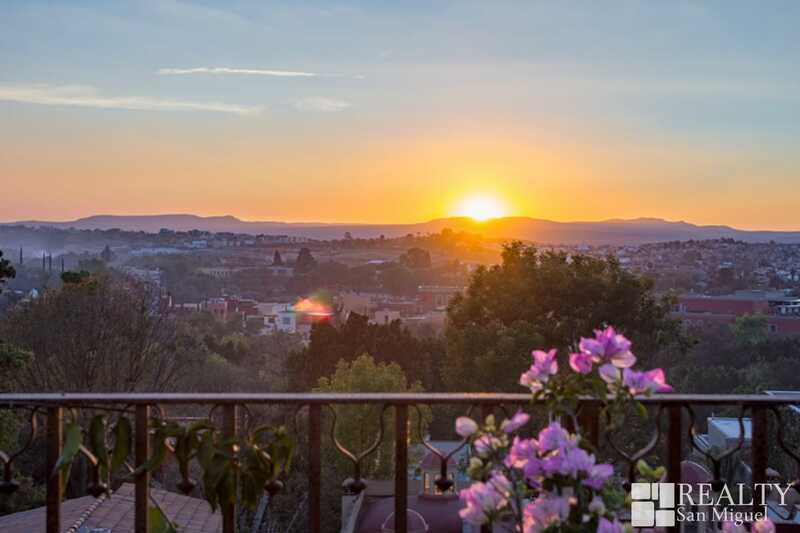 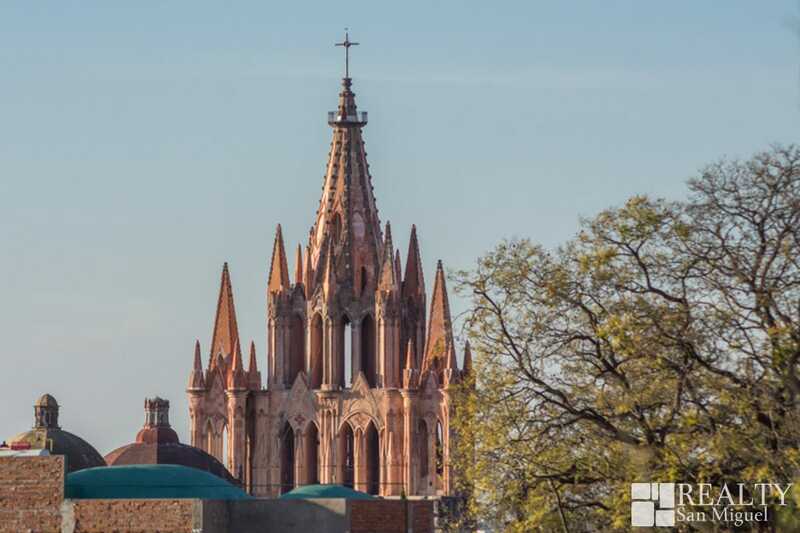 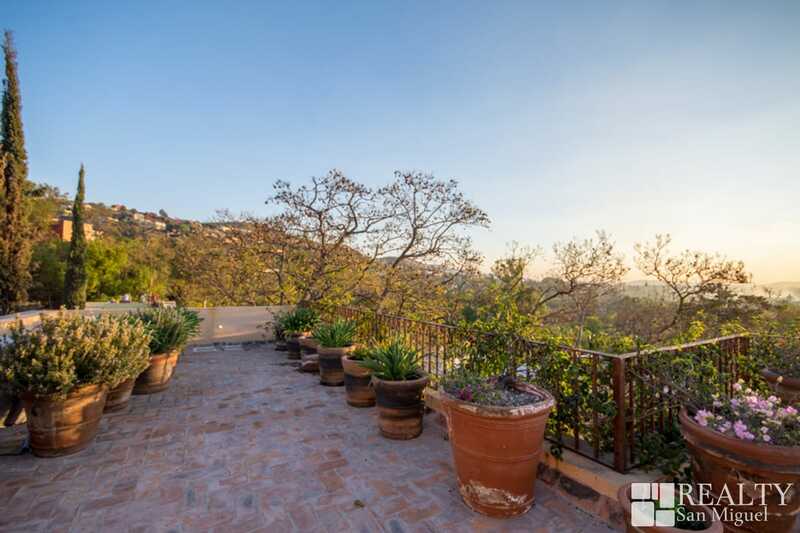 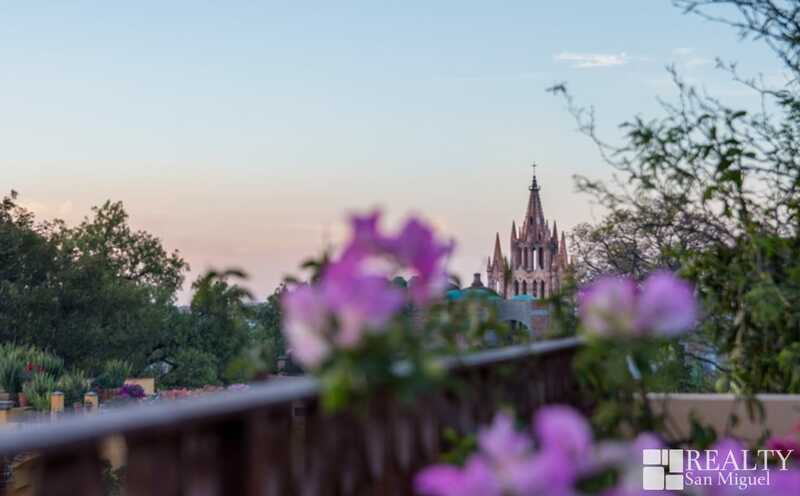 The view from the roof terrace is panoramic and you can admire the parish and the Sunsets. 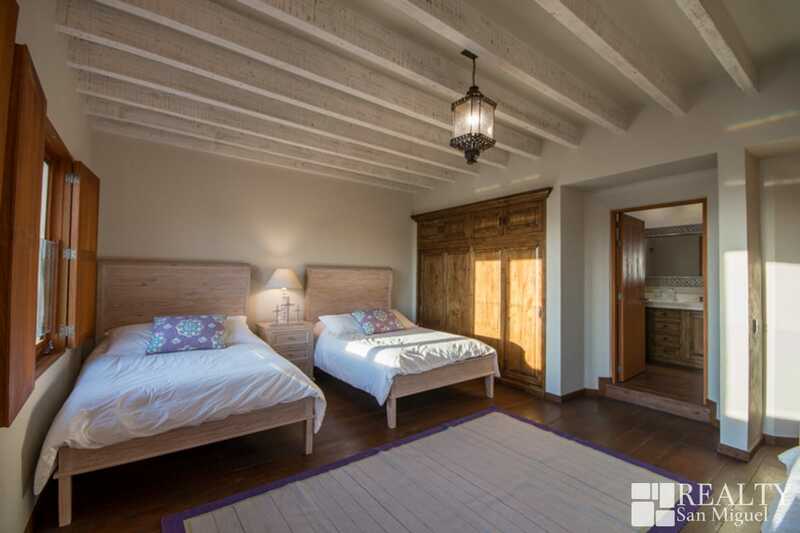 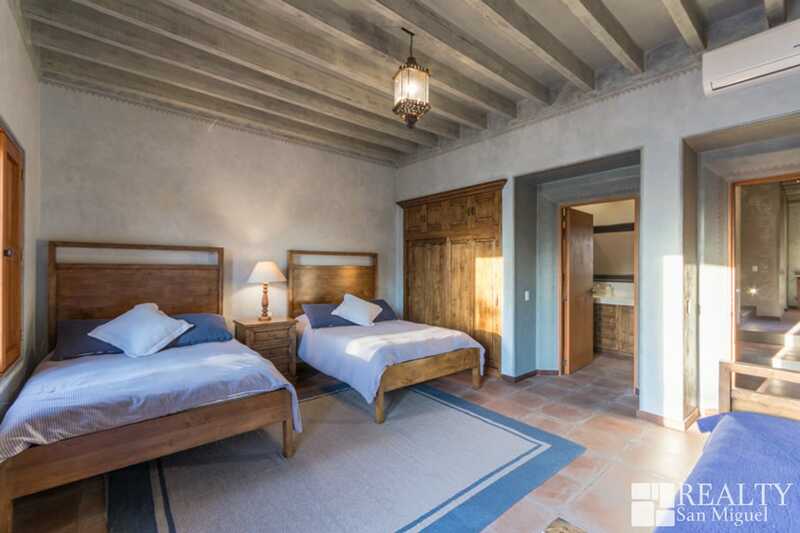 The spacious bedrooms -5 in total- each one with its private bathroom have air conditioning. 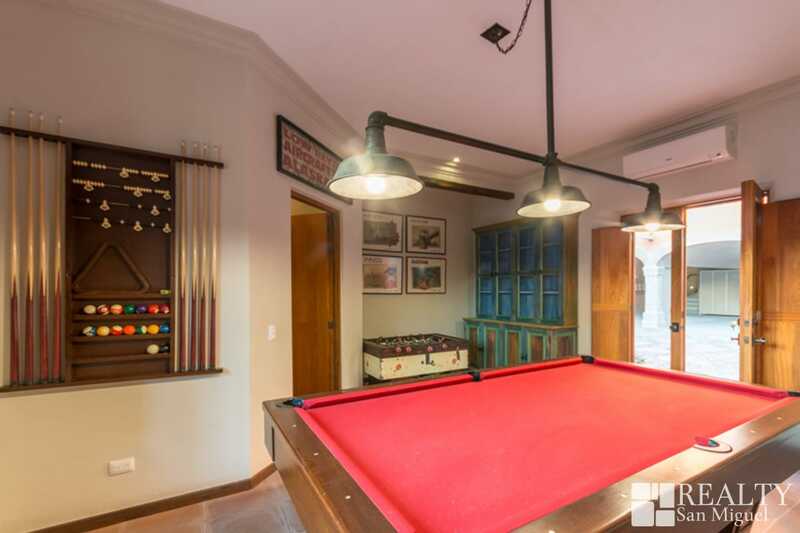 It also has a game room with a pool table. 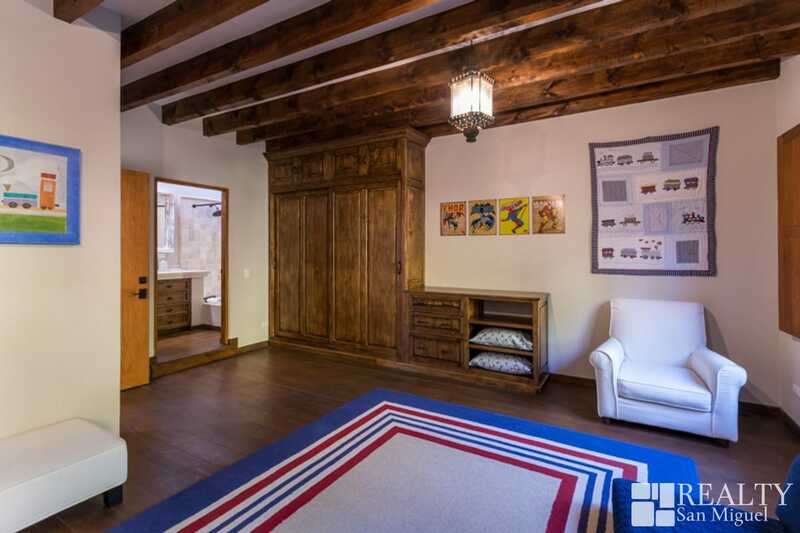 Covered garage for 3 cars and space for another two cars, and additionally, a maid’s room with its own bathroom. 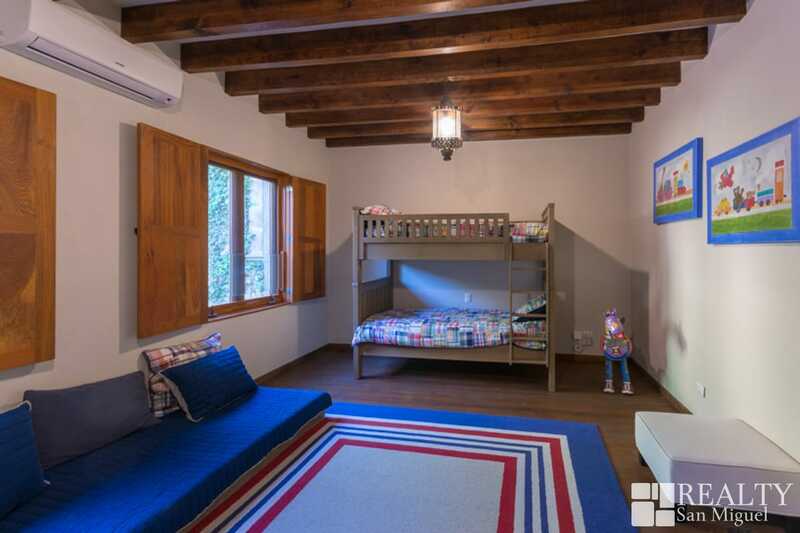 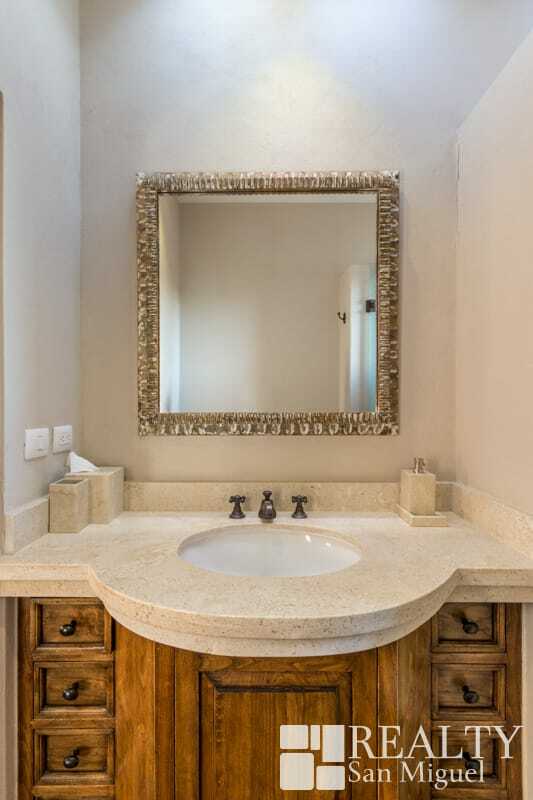 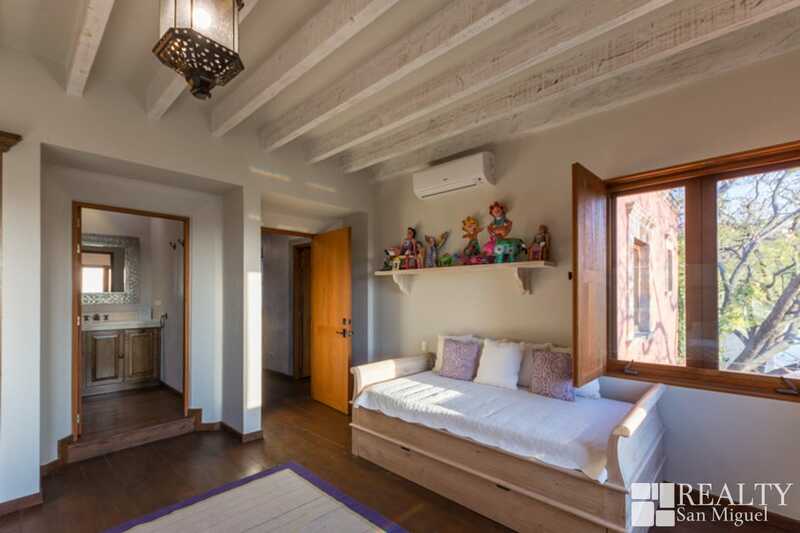 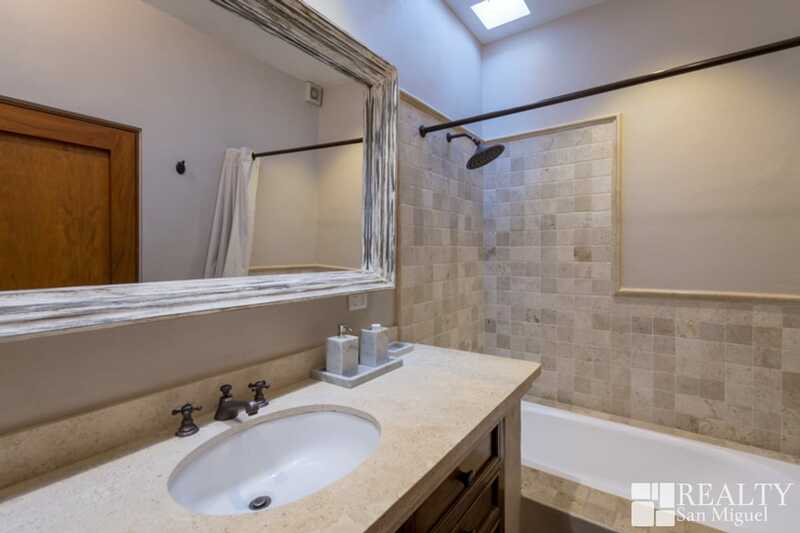 This is a house for those who want to be close to all the attractions the town offers and at the same time, enjoy the privilege of having all the amenities in the privacy of your own home.